Custom handbags and handcrafted purses are hotter than ever – bags have become the trendy way to show off personal style. 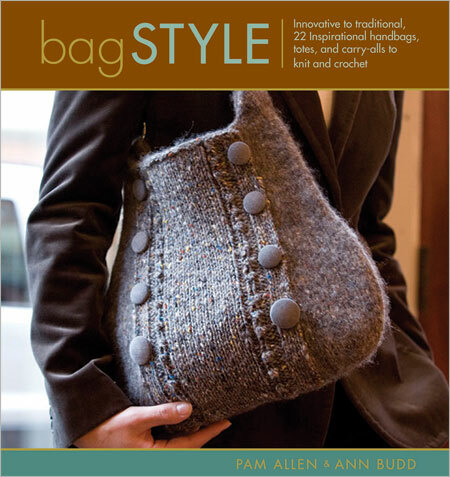 As knitters move away from the scarf, bags are replacing them as the most popular small project to make. Whether knitted, crocheted, or felted, there are endless ways to personalize and customize a bag. From a tiny pouch to carry an iPod to a generous tote based on nineteenth-century carpet bags to a felted messenger-style bag to a delicate purse with handles made of bracelets, knitters and crocheters will find 22 innovative patterns and inventive inspiration from twenty top knitwear designers, including Veronik Avery, Norah Gaughan, Mags Kandis, and Kristin Nicholas. Each project features gorgeous photographs and step-by-step instructions, and all techniques are explained in easy-to-understand detail.